There's a definite nobility in voting for candidates who best align with our personal values, even if they have no chance of winning. But our convictions in the voting booth are equally if not less important as having a realistic outlook on the bigger picture, and voters of both parties would do well to seriously consider these factors. This is the big "but." Supporting Sanders for the Democratic nomination is sort of like ordering a new-fangled As-Seen-On-TV exercise contraption. Making a conscious decision to get into better shape is admirable. However, there are about ten thousand subsequent steps that need to occur after handing over your credit card number. Either you&apos;ll do all of the impossibly necessary work to look like the fitness models in the infomercial, or you&apos;ll have a medieval clothes rack festooning the corner of your bedroom until the big yard sale. 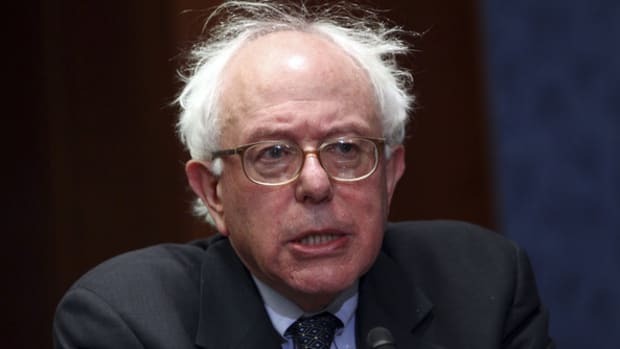 Likewise, there are five impossible challenges facing Sanders and his people. 1) Raising money. Evidently, Sanders raised over a million dollars immediately after his announcement, with the average donation not exceeding $43. That&apos;s significant and respectable. The question is whether he has the continuously generous donors to outspend not just Hillary Clinton, but the other potential contenders including the John Edwards of this election, Martin O&apos;Malley, who&apos;s getting ready to announce soon. In order to do so, will Sanders accept support from big-money donors and various 501(c)3 organizations, along with the accompanying dark money? And how will his supporters take the news? It&apos;ll be impossible for Sanders to make a serious dent in the delegate count without going there. 2) Calibrating expectations. 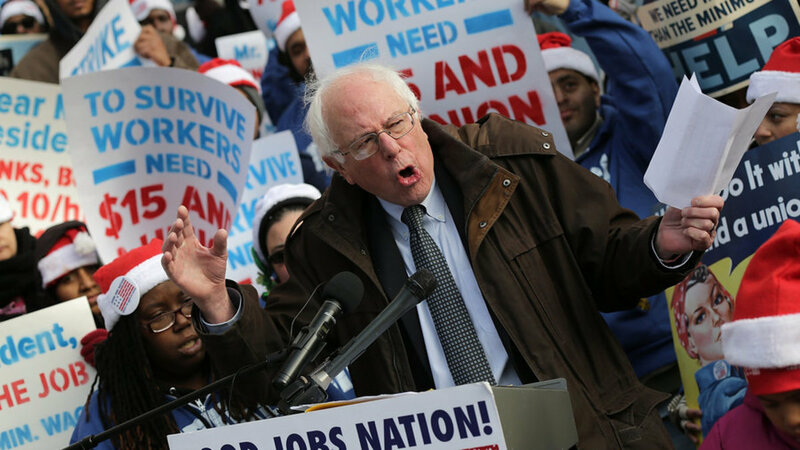 On Sunday&apos;s This Week with George Stephanopoulos, Sanders made it clear that we shouldn&apos;t underestimate his chances, given his track record of victories so far. Frankly, however, I don&apos;t think he seriously, deep down, expects to win. 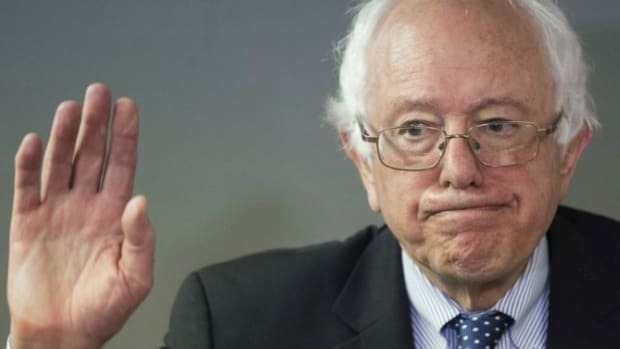 Historically, candidates like Sanders (see also Dennis Kucinich, Ron Paul, Al Sharpton, Mike Gravel and even Ross Perot) never really believe they can win. If that&apos;s the case, what&apos;s the point in activating massive grassroots support and fundraising for a no-win candidate? The obvious answer, and one which I personally like, is the idea of nudging the Overton Window leftward. 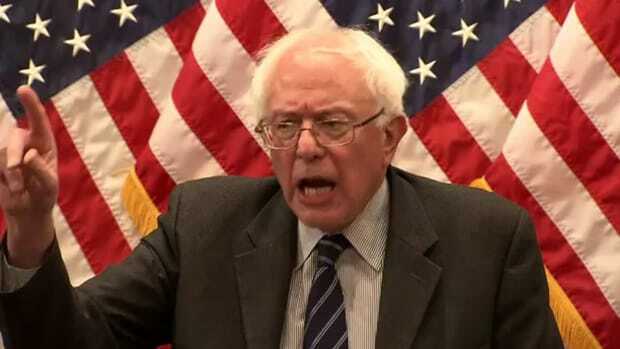 Sanders has the rhetorical chops to move the debate leftward, making some of his ideas more palatable to voters, and that&apos;s a good thing, given how rightward the Window has been pulled by the tea party and Bush-era, post-9/11 politics. The caveat here, though, is for his supporters to calibrate expectations to match this goal, rather blindly and singularly expecting victory because if too many supporters fail to steel themselves for the inevitable, disillusionment and subsequently more Hillary Derangement Syndrome will ensue and that&apos;s terrible news for the Democratic nominee in the general. 3) Superdelegates and winning the nomination. Remember 2008? 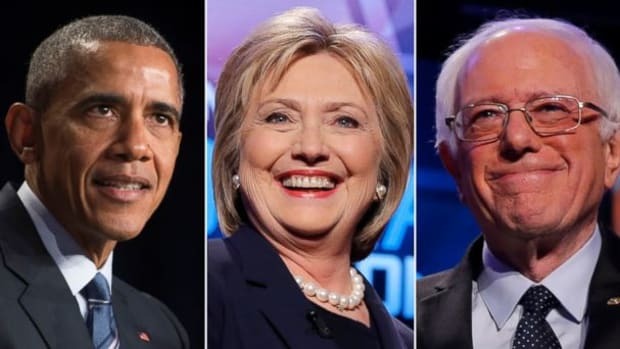 In the Democratic nomination fracas between Barack Obama and Hillary Clinton, 20 percent of the necessary delegates required for the nomination came from unpledged "superdelegates" who had enough power to throw a tight nomination battle in either direction, or worse, to a contested convention. 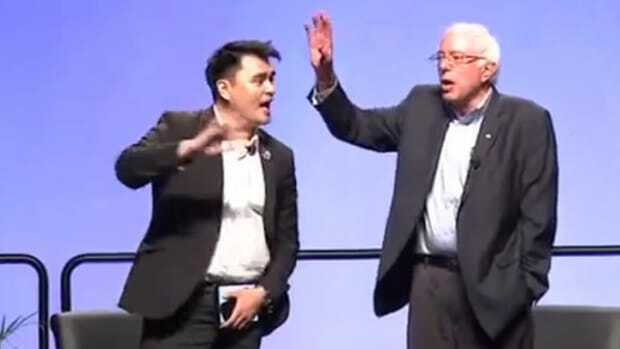 Does an Independent-turned-Democrat have the superdelegate support of someone like Clinton or O&apos;Malley, knowing that each candidate&apos;s been shmoozing party apparatchiks for many, many years. 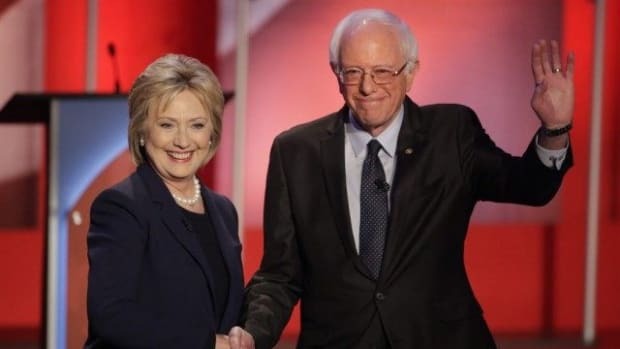 2008 taught us that the Democratic nomination isn&apos;t solely decided by voters. Without superdelegate support, Sanders is entering the race with a 20 percent deficit. Unless Sanders runs a flawless campaign and reassures enough superdelegates that he&apos;s capable of defeating the Republican nominee, he doesn&apos;t have a shot. 4) Beating the Republican ticket. With an increasingly polarized electorate, Sanders would have to acquire massive support from the center-left and especially the middle in order to come close to beating the GOP nominee. While it&apos;s true the Republicans have mostly abandoned the middle for the tea party and libertarian extremists in the party, it doesn&apos;t necessarily mean a far-left socialist can grab up the centrist votes. There&apos;s no doubt that a Sanders general election campaign could generate plenty of Democratic support, from both the left and center-left, but how would moderate undecided voters swing: toward a crumpled socialist or a familiar GOP name like Bush, or a young newcomer like Scott Walker who feels familiar? 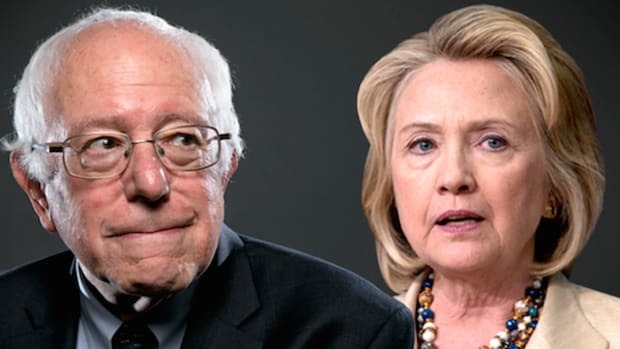 Bottom line: Sanders has much farther to go in order to win the middle than the GOP ticket. 5) Governing and compromising his agenda. Let&apos;s say Sanders successfully runs the gauntlet and a series of events transpire that impossibly thrusts him into the White House. What then? More than anything else, Sanders&apos; coattails would have to be longer than Florida in order to carry with him enough congressional seats to support his agenda. And even if perchance the Democrats pull a Godzilla-sized rabbit out of a Jeb Bush-sized hat and win majorities in both chambers, would there be enough votes from moderate Democrats to support colossal tax hikes on the rich or a single-payer health insurance plan to replace Obamacare? Highly, highly, highly doubtful. Remember how long Obamacare was hashed out in Congress in order to win the support of blue-dog Democrats like Ben Nelson and Max Baucus? Nearly a year, as I recall, and a pantload of compromise, including the soul-crushing abandonment of the public option. Now imagine trying to get blue-dog Democratic Senator X to vote for single-payer. Honestly, it wouldn&apos;t even come to that because the Senate Republicans would filibuster the hell out of the entire Sanders agenda, much less single-payer. I think most liberals would agree, at least when compared to Sanders, that Obama has governed as a center-left Democrat and occasionally a centrist Republican. How has the GOP reacted? Like mental patients. Insert, now, an actual socialist agenda into that equation and stir. In order for Sanders to get anything passed he&apos;d absolutely be forced to significantly compromise his agenda and cut deals with the Republicans. How might he compromise? First and foremost, his unwavering support for Israel as well as his votes against closing Guantanamo might indicate two areas that&apos;d be on the table in negotiations with Mitch McConnell and John Boehner. But just imagine the apoplexy from his far-left supporters if he did. And that&apos;s just the tip of the iceberg in a divided government. How would Sanders get his would-be Treasury Secretary Robert Reich (who&apos;s a fantastic choice, by the way) confirmed by a Republican Senate? He&apos;d have to give them something they&apos;d want, of course, and even then it&apos;d be crap-shoot. Would the far-left be comfortable with a trade? Reich for, say, a moderate Supreme Court nominee? Or Reich for Keystone XL? Or Reich for ANWAR? Based on the last six-plus years and the far-left&apos;s ongoing perfectionist freakout over Obama&apos;s compromises, not to mention President Clinton&apos;s compromises in the 1990s, many heads would surely explode. Bottom line: while Sanders&apos; agenda is attractive, it&apos;s wise to calculate whether it&apos;s at all practical. Sadly and regrettably, I&apos;d argue that none of it is, given the political climate today -- unless Sanders and his supporters are willing to compromise, and I don&apos;t think his supporters in particular have the capacity for compromise. Not even close, given recent history. There&apos;s a definite nobility in voting for candidates who best align with our personal values, even if they have no chance of winning. But our convictions in the voting booth are equally if not less important as having a realistic outlook on the bigger picture, and voters of both parties would do well to seriously consider these factors. If a vote for a longshot candidate with a longshot agenda triggers an explosive and perhaps irreparable blowback against your values, was it really worth it? Meanwhile, the left ought to provide Sanders just enough leverage to inject his message into the mainstream. At the end of the day, isn&apos;t that the point?